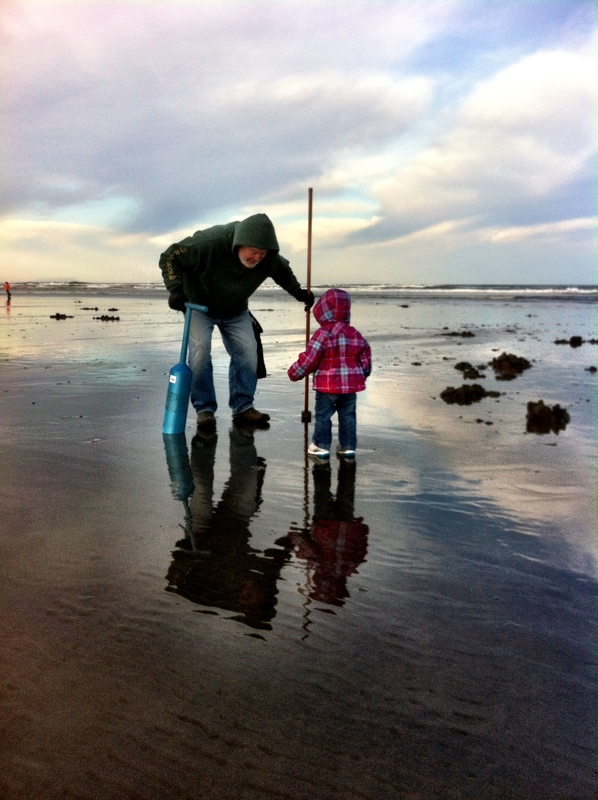 Clamming to me is a one of the best times you could ever spend with family. I told my friend Grover this weekend that my life is basically “one big Easter egg hunt”. He sort of looked at me funny and I elaborated on my statement “Think about it, I am out here looking for holes in the sand for clams, I look for elk, deer, antelope, wild mushrooms, seafood, turkeys, and anything else that could hide from me”. He understood exactly what I was saying. 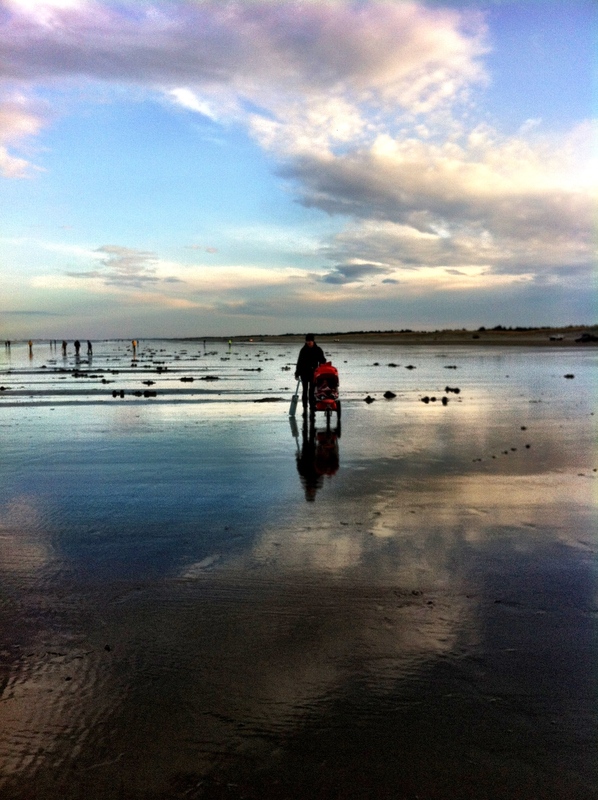 We continued walking out onto the beach in pursuit of the Long Beach Razor Clams. Grover went his way, and I went mine. Notice Grover has his thumper in one hand, and in the other his clam gun. 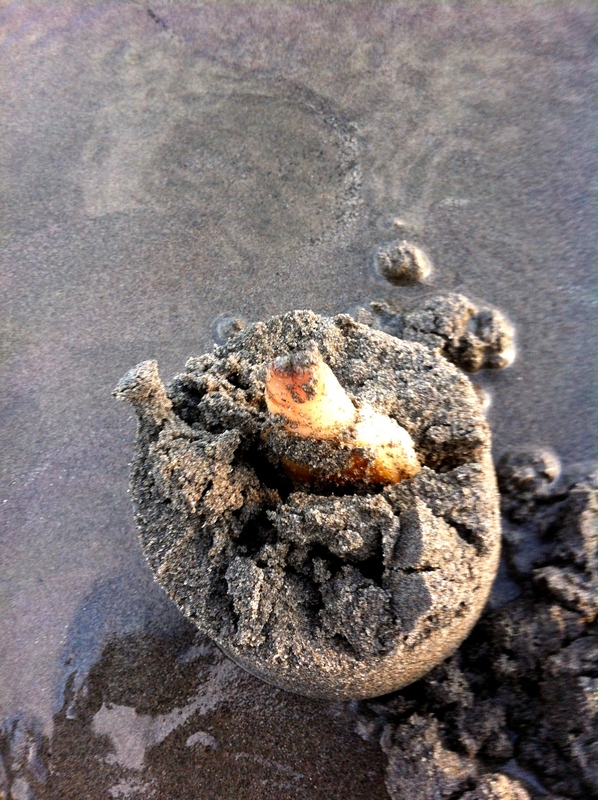 Thumping the ground sometimes forces the clam to reveal its little breath hole. 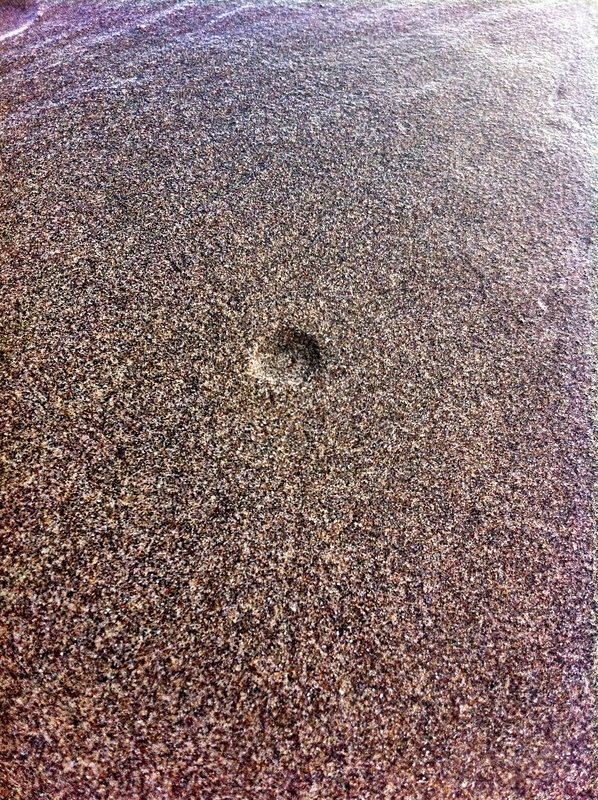 The holes themselves, can be large, or can be very small. Sometimes you only see a little dimple in the sand, sometimes when the surf comes in and goes back out you see a little V in the water. Once Grover told me, “You look for imperfections in the sand”. This little statement made my back and hands very sore from digging, it did however, educate me very quickly. 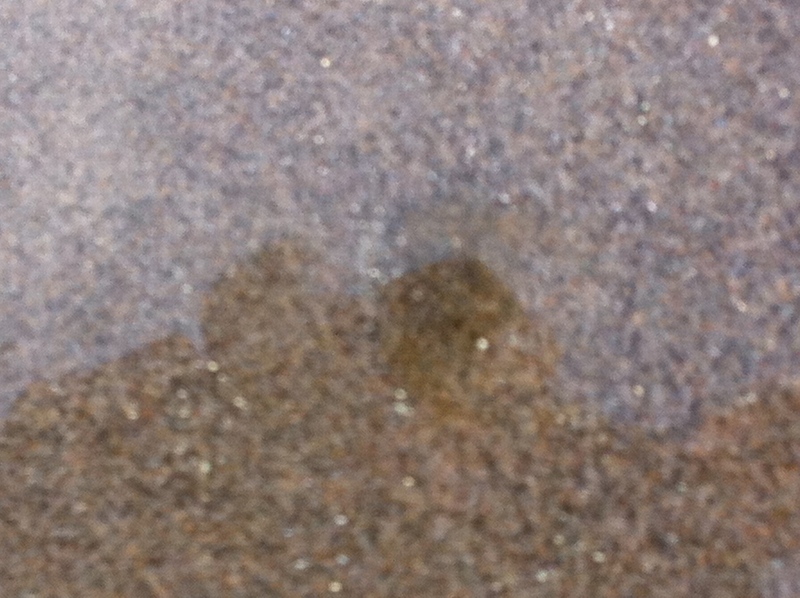 This is a clam dimple in the sand. Not very obvious, but it still exist for the expert clammer. We walked around, looking for “imperfections” in the sand. The only thing Mady was missing was a clam gun! It was such a beautiful morning. 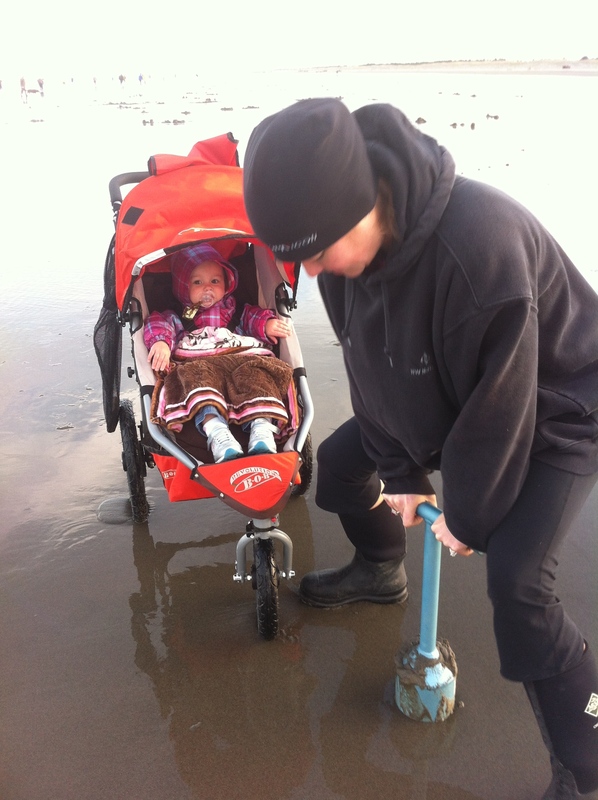 Mady really did not like the idea of walking on the beach, but that stage fright was over in seconds. "I got this dad, there is one over there"
There are three basic elements in clamming that equals success. A good minus tide, good weather, and a good eye. When the weather is bad it causes the waves to crash on the beach and the clams do not show. If it is not a great minus tide, you are not able to get far enough out to reach the clams. If you have bad eyes, you are walking around looking for the really obvious clams. This would be an obvious clam dimple. 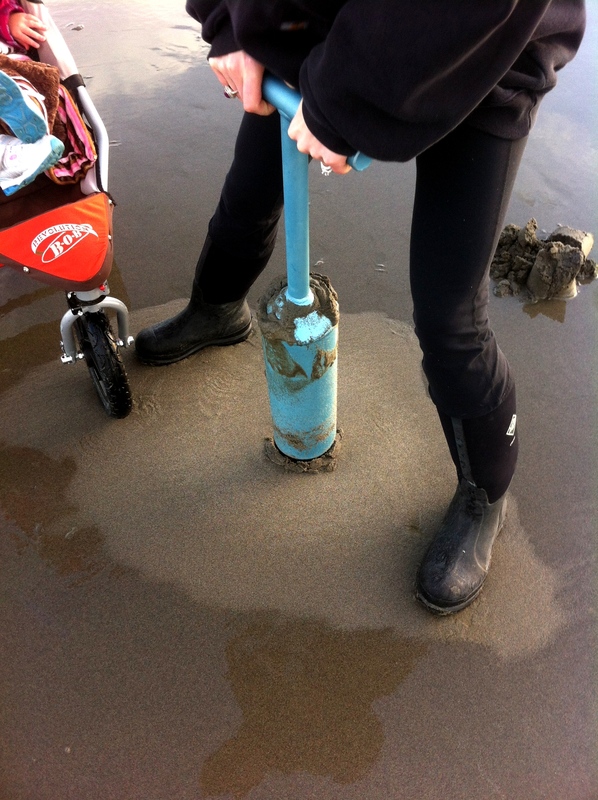 They key to using a clam gun is not just to pile drive the cylinder down into the sand as hard as you can go. You slowly push feeling and listening to any crunch sound of the shell. If you hear or feel that, you stop instantly pull back up and wiggle it and slowly re-insert it until you do not feel the clam shell breaking. I like to position myself facing the surf and slightly angling my gun tube toward the ocean. The key is to use your legs, not your arms and back as Stephanie demonstrates and Mady supervises. Stand up using your legs as you lift. Also, notice the dry sand as you pull up? Always look around you will notice pin holes, or dimples of surrounding clams. 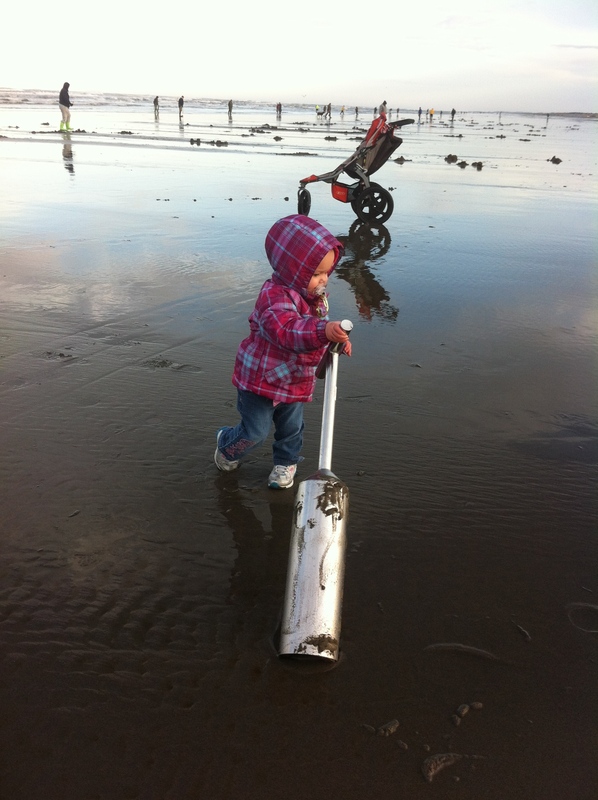 Retrieve your razor clam. Sometimes they are in the hole, so keep on the look out. Hurry before the surf takes them or a seagull. 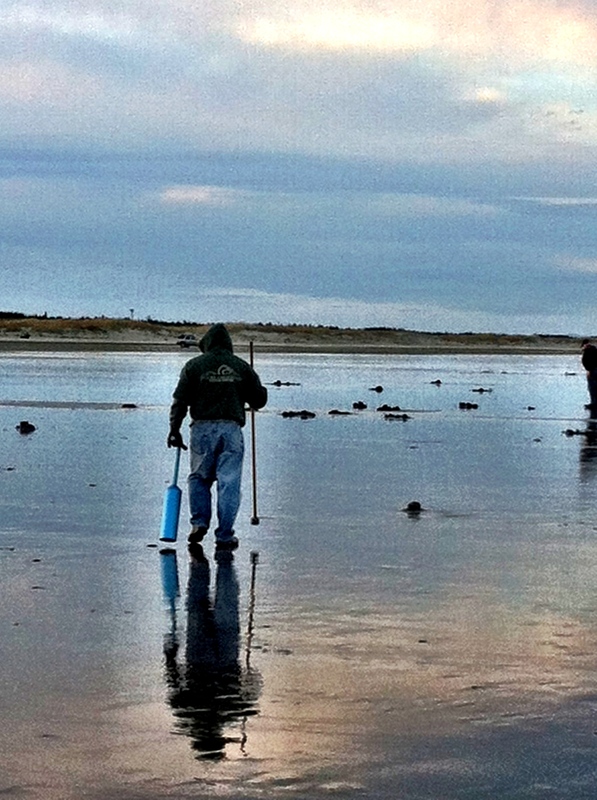 Take your clam gun, your kid, your clam and walk into the sunset like you are the coolest clammer in the world. 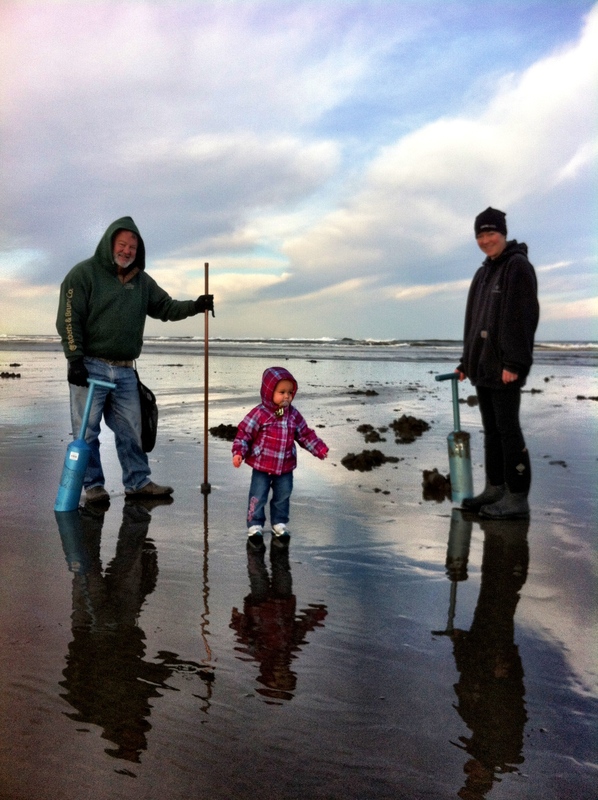 Clamming is great option for getting the family together and on the beach. I always look forward to the open season in Long Beach, Washington because it is an opportunity to share in the outdoors with your family. What an opportunity to spend camping, great talks at the camp fire and awesome fresh seafood. 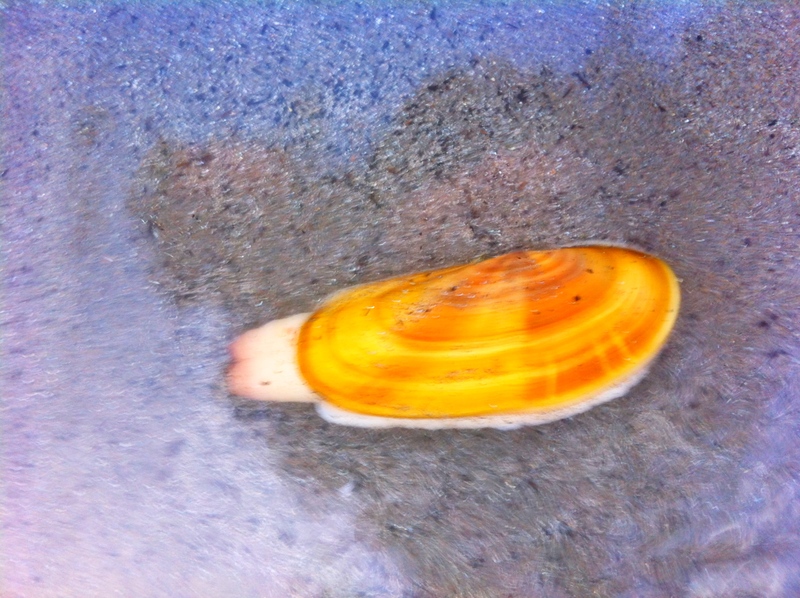 Check the blog later for the meals, and how to clean a clam in the days to come. As for now, we had a successful clam dig, and Grover and I limited in 10 minutes without leaving a 10 yard radius, while our wives and child stayed back at camp to enjoy their sleep. These are times I will always cherish and remember. As the whole saying goes "pass it down".